You are invited to attend the WCCA TV Annual Meeting on JUNE 14, 2018, at 6:30 PM, at the BULL MANSION in Worcester, located at 55 Pearl Street. (Parking available in the lot behind Bull Mansion, on Chestnut street.) This is an important meeting, as we will be acknowledging and celebrating those producers who have accomplished and produced 100+ shows. There will be light food (while supplies last), cash bar, entertainment and plenty of time for fun and socializing. This event will also be open to the general public at 7 PM. WCCA TV members attend for free. We will be asking a minimal entrance donation of $1 for non WCCA TV members. PLEASE RSVP ASAP to tracy@wccatv.com . We look forward to seeing you there! Tune into the premier episode of Front Row! Front Row, an original WCCA TV production, gets you up close and personal to art and artists. Episode 1 features Mauro DePasquale and Adam Rice of WCCA TV as they interview cast member of The King and I, Kavin Panmeechao, who portrays Lun Tha at the Hanover Theatre in Worcester. Amy Mosher Berry, host of Exposure with Mosher, and Daniela Carol Marie, Producer, celebrate their 100th episode of ‘Exposure with Mosher’, a show that spotlights entrepreneurs, innovators, and good news. The show has been airing on WCCA TV since August 2013. Congratulations, Amy and Daniela! You make us proud!! 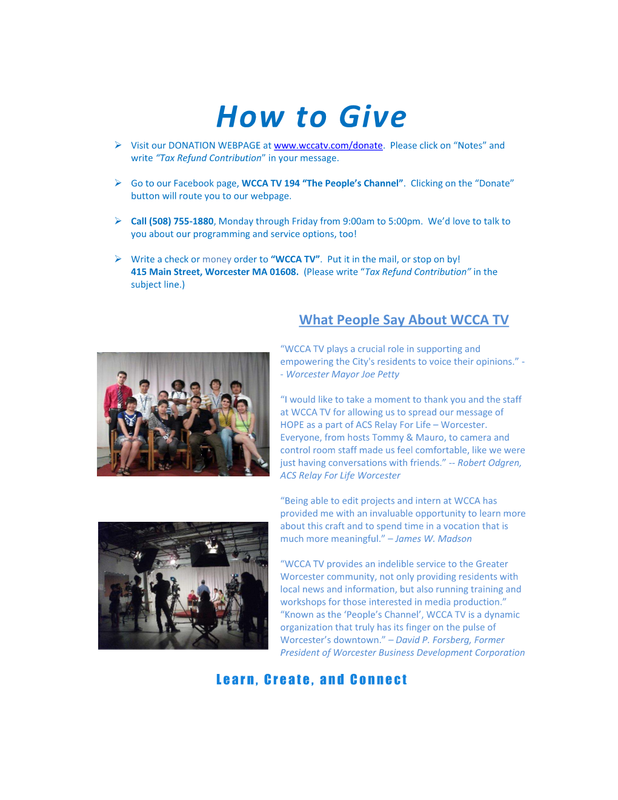 From the studio of WCCA TV here’s another new and exciting program – Got It Covered! 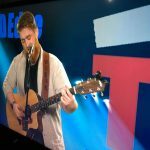 This WCCA TV production, hosted by Victor Infante, features some of our favorite musicians from around the region, performing music they might not have usually chosen. The Duende Project performs ”The Danger Zone” by Kenny Loggings. The Center For Community Media at WSU presents ”The Beat” show. 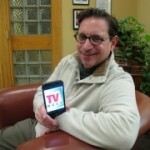 Featured guest is WCCA TV’s Executive Director Mauro DePasquale. Manager for the American Cancer Society, and Denise Mckenney to talk about The 2018 Relay for Life that is taking place on June 15-16, 2018; Martin Dyer, Deputy Chief of the Worcester Fire Department; as well as Paul Barber and Gus Giannakis to talk about the Grecian Festival happening in Worcester on June 1-3, 2018. Soapbox can be seen on WCCA TV, Channel 194 in Worcester, and streaming live online at wccatv.com on Saturdays at 10:30 pm and Sundays at 6:30 pm . To be a guest on the show, contact tracy@wccatv.org. There’s a rumor floating about that there is extreme poverty in Worcester. Could it be true? Tune into this new episode of Rosen’s Round Table to find out what host Gary Rosen and his panel members have to say. Also, learn more about the Worcester City Council’s budget review sessions. In another episode, the guys talk about the new construction that will be happening in Worcester. Having it performed by local labor is desirable. But what exactly is local labor? Exclusively on WCCA TV! things going on in Central Massachusetts. Host of the program, State Senator Harriette Chandler, welcomes Tom Nixon and Colleen Naber from Working for Worcester. 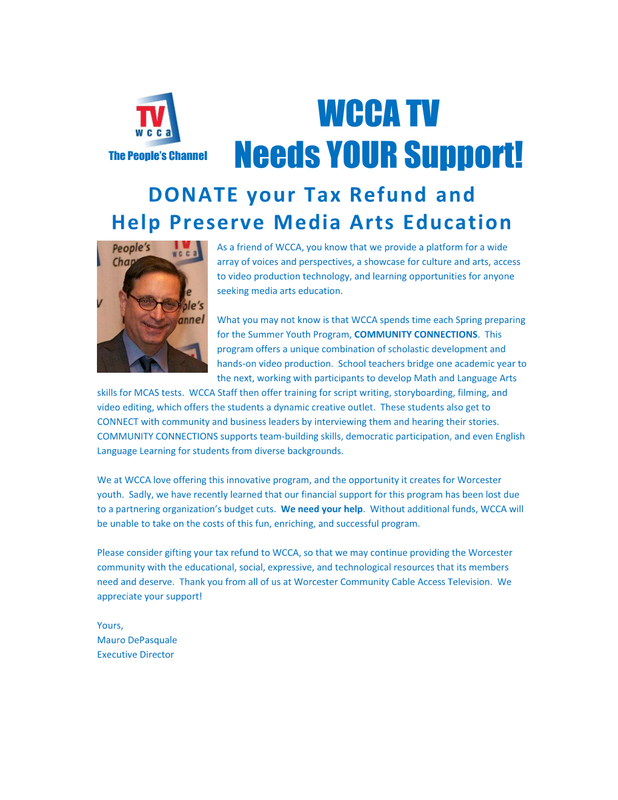 What It’s Worth is a WCCA TV show definitely worth watching! Host of the show, Tommy Colletta, chats with Blake Rubin, a candidate for District Attorney. This Is Worcester is a WCCA TV program, hosted and produced by community activist Bill Coleman. In this episode, Bill talks about the history of Downtown Worcester. In another episode, Bill welcomes musician Jim Scott to the show. Time for a coffee break and another episode of Coffee with Konnie. Join City Councilor Konnie Lukes and her guests as they discuss city issues at Worcester area coffee shops. Konnie chats with Rita Albertson and Matthias Waschek about the discovery of a Leonardo-da-Vinci painting at the Worcester Art Museum. How exciting! Perspectives, with Asima Silva, is a WCCA TV program that features local and national guests sharing their perspectives on politics, current events, mental and emotional health, as well as religion. In this episode, Asima talks with Ahmad Abojaradeh, the Executive Director of Life in My Days. In another episode, Asima welcomes Meg Gallo from the Refugee and Immigration Assistance Center in Worcester. In the House is a show to inform viewers about the ins and outs of real estate, home buying and other housing issues. Host George Russell welcomes Fred Taylor from the Carpenters Union. Ramona Pokoly is the host of Ramona Interviews, a talk show that features interesting guests from all walks of life. Ramona’s guest is John Gentle Hawk. Know Your Rights is a WCCA TV show to inform viewers of their civil rights, hosted by Ron Madnick. In this episode, Ron talks about the Bill of Rights. Activate Worcester, hosted by Ron Motta, is a WCCA TV program that shows viewers how to participate and become active in Worcester. Ron welcomes Jim McGrath to the show. The guys talk about the Tea Party. In another episode, Ron chats with Chris Pinto about the Massachusetts GOP State Convention recently held in Worcester. Exposure With Mosher is a WCCA TV show that spotlights entrepreneurs, innovators, and good news. Host Amy Mosher Berry welcomes Johnny Bui, Growth Hacker, Entrepreneur/Upcoming Author; Ebony Romain, Worcester State University 2018 graduate; and Ivana Bellorado, Worcester State University 2018 graduate. Hidden Treasures is a WCCA TV program that helps you learn how to find that hidden antique or collectible that just may add cash to your life. In this episode, host Bill Safer shares his knowledge of odd and unusual aspects of hidden treasures available for you to discover. Close To Home is a show about people and situations that demonstrate deep respect for mankind. Host of the program, Molly Finn, welcomes Philip Lawler, the author of Lost Shepard. In another episode, Molly talks to the General Manager of ‘Emmanuel Radio’, Cindy Dorsey. Health Matters is a program from the Worcester District Medical Society. Host Dr. James Broadhurst welcomes Dr. Matilde Castiel, the Commissioner of Health and Human Services in Worcester. Connecting The Dots is a non-traditional legal program with the emphasis on the attorney as a trusted advisor, with an interdisciplinary approach to solving life’s issues. Host of the program, Attorney Liz Myska, welcomes Molly Welch from the Lutheran Rehab and Skilled Care Center. In another episode, Liz talks to Ruth Seward, the Executive Director of the Worcester Tree Initiative. 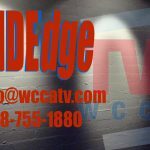 Band Edge is a WCCA TV local-music show that is shot live and spotlights Worcester area bands, solo singer/songwriters, and instrumentalists. Featured in this episode is Neighborhood Strings. Another episode of Band Edge features The Duende Project. Video Jam is your source for eclectic music videos. Your favorite host, Tracy Foley, has been presenting mainstream and indie rock for more than 10 years on cable TV public access stations. Today’s Playlist features: Anthony Brown & Group therAPy – I Got That, Raiden and Yuri – Always Find You, Awolnation – Handyman, Dwight and Nicole – HiLo, Higher Education – Gift Called Life, The Aces – Volcanic Love, and Xavier Toscano – Never Wanna Leave. Keep jammin’ with WCCA TV! Static Fusion is an alternative performance art and musical variety program, produced with the facilities of WCCA TV. The show is put together by the creative genius of Jim Racicot and Uncle Allen. Jim takes us to ”That’s Entertainment” for Record Store Day. This entry was posted in Community, Events, Mailing List, Mauro, News, Public Access, Shows and tagged City and neighborhood news, Community Media, Events and Information, fun, Local News, Mauro DePasquale, media democracy, media training and workshops, Public Access, Soapbox, wcca tv, wccatv.com, Worcester Local, Worcester news, Worcester TV on May 31, 2018 by mauro. Joseph Townsend has left his position of Fund and Grant Developer, here at WCCA effective as of April 20, 2018. 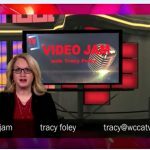 Please be assured WCCA TV remains attentive to service and ongoing projects, therefore, in the interim, all business relations, including our Circle of Friends members, and other accounts will be addressed by our Station Manager, Tracy Foley. Tracy can be reached at 508-755-1880 ext. 110 or at tracy@wccatv.com . It is with warmest personal regards that we wish Joseph much success in his future endeavors. Since 1986, WCCA TV has always bee a creative space and a place that has engaged people of all backgrounds in bringing the city to life through creative expression of story telling, engaging community television talk programming, music, dance, television journalism, dramatic arts and film/video making, public art and multi media works, and to exercise free speech. It’s a space for everyone to get engaged in the arts in an active way. We have added over 630 videos to the WCCA website Video On Demand library in 2016! ALL AVAILABLE FOR FREE “ON-DEMAND VIEWING” at http://www.wccatv.com/video . This would not be possible without such an amazing video-prolific community and also with the tremendous work and effort of our own WCCA TV Staff of professional video technicians and video production artist. This entry was posted in Community, Mailing List, Mauro, News, Public Access, Tracy and tagged City and neighborhood news, Community Media, Events and Information, fun, Local News, Mauro DePasquale, media democracy, media training and workshops, new job opening, Public Access, Soapbox, wcca tv, wccatv.com, Worcester Local, Worcester news, Worcester TV on April 19, 2018 by mauro. 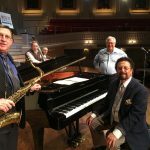 WCCA TV recorded the Mechanics Hall Brown Bag Concert with Jim Porcella on April 4, 2018 . Jim is a jazz vocalist who serves up the iconic tunes of Sinatra, the Rat Pack, and Duke Ellington. He delivers American Songbook greats and leaves you wanting more. Jim is accompanied by the amazing Mike Renzi Quartet. A perfect post to celebrate International JAZZ Day ! This entry was posted in Mailing List, Mauro, News, Public Access, Shows and tagged BANEDGE, Brown Bag, Community Media, Jazz, Mechanics Hall, MUSIC SPECIAL, wcca tv, WICN, Worcester on April 13, 2018 by mauro.